This recipe was 100 percent inspired by the Vietnamese dessert che chuoi that I tried at Cochinchina in Munich (one of my favourite meals so far in this city). Che chuoi is essentially a warm pudding made of banana, tapioca and coconut milk. The flavours and textures combined were so good that I recreated something a little bit similar at home. This recipe is quite easy to make if you take 2 minutes of preparation time the night before. I don't have tapioca so I decided to use chia pudding as a base, since the texture is similar. 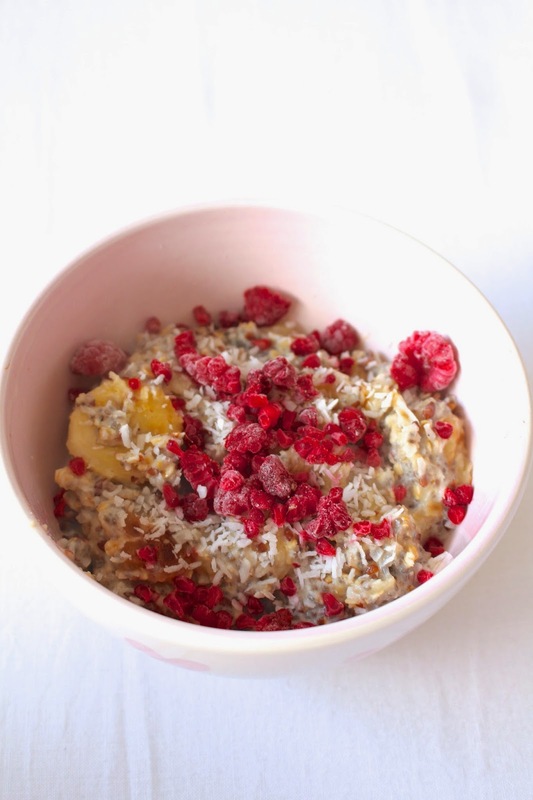 If you prepare the chia pudding the night before, breakfast won't take long to make at all! * Make chia pudding the night before you're planning on having this breakfast. Mix three teaspoons of chia seeds with at least triple the amount of almond milk, and leave in the fridge overnight until the chia seeds have swollen up. Start by cutting the banana and frying it in coconut oil for a few minutes. This goes really quickly so make sure to turn the slices around after a minute or two. 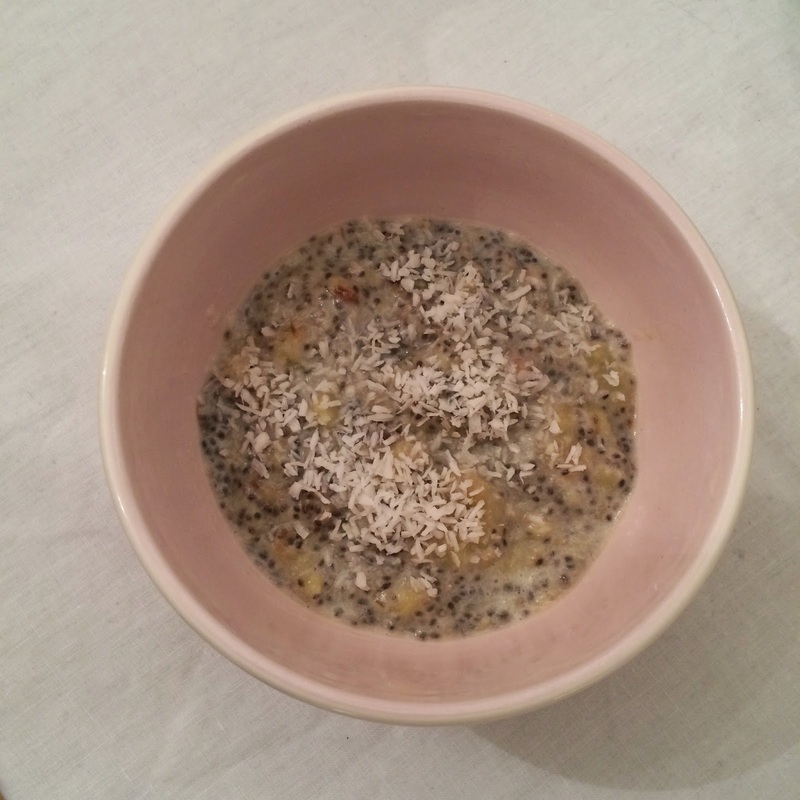 Once the banana is nice and browned, add the cup of chia pudding, flaked coconut and some extra (almond/coconut) milk. You can also add a handful of oats at this point, but it also tastes great without. Let it bubble away for 2 minutes and then your pudding is ready. Add some frozen raspberries on top and some extra coconut flakes if you like. Bon appetit! The pictures above are with frozen raspberries and a small handful of oats added, but in the pic below the only ingredients I used were banana, chia pudding, almond milk, coconut flakes and coconut oil. Also works as a super yummy (but not so pretty) dessert!